One sentiment heard all too often among Scag mower owners is that their mowers don’t necessarily need to be treated like a traditional vehicle, in terms of safety, because they simply don’t travel as fast and they aren’t out among other drivers where dangers are most likely to occur. The same sentiment is common among homeowner and others, many of whom don’t understand the many safety risks associated with a riding mower, a walk behind model, or other types. The truth, though, is that mowers pack a powerful engine, sharp blades, and enough forward speed to do some damage if proper safety precautions are not followed. For those who need a primer on proper precautions and maintenance, there are a few considerations to make and procedures to follow when ensuring maximum safety. Those who have recently purchased a Scag mower should remember a few basic rules of operation that will enhance safety and lead to better results for everyone involved. From things like seat belts to proper refueling, here’s what to know. Many Scag models are designed to travel at fast rates of speed, but this is not universal. When the mower is turning or handling tough terrain, it is recommended and appropriate to slow down. This will help to lower the center of gravity, reduce the risk of tipping the mower, and eliminate the possibility of debris-related injuries. A Rollover Protection System, or ROPS, will make sure that the mower will not succumb to gravitation forces and tip over. Furthermore, it will ensure that the mower, if it does tip over, will only fall on its side. This is an absolutely essential way to ensure rider safety and eliminate the potential injuries resulting from interaction with mower blades. The company’s zero turn mowers are designed to handle a wide variety of terrains and slopes, but operators are advised not to use any zero turn mower on a slope of 15 degrees or greater. Doing so could lead to the mower tipping over and causing injury. Rocks, logs, lawn toys, dog toys, and other items should always been looked for as the mower proceeds through the lawn. These items can be turned into damaging projectiles in some cases, and they do significant damage to the mower and its blades in others. Avoiding debris is the number one way to reduce the risk of injury and reduce the risk of significant mower damage that might otherwise require major repair. Like everyday operation, proper maintenance can lead to a safer, longer-lasting mower that gets the job done without putting the operator or bystanders at risk. For those just getting started with a Scag mower, a few maintenance routines are worth noting. Parts made by Scag, the original equipment manufacturer or OEM, are the best bet for long-lasting quality and durability. These parts are subject to rigorous quality checks and are therefore less likely to malfunction in any way, much less a way that could seriously inure the operator or bystanders. Scag recommends a specific gasoline type, and an exact oil formulation, that is best for each of its mowers. Using anything else could cause the engine to overheat, or it could cause the whole mower to experience mechanical issues that could be dangerous to endure and expensive to resolve. From spark plug checks to new oil and gasoline and beyond, seasonal maintenance can ensure that all of the mower’s parts are in place, tightened, and rust-free, enhancing safety and peace of mind in the process. 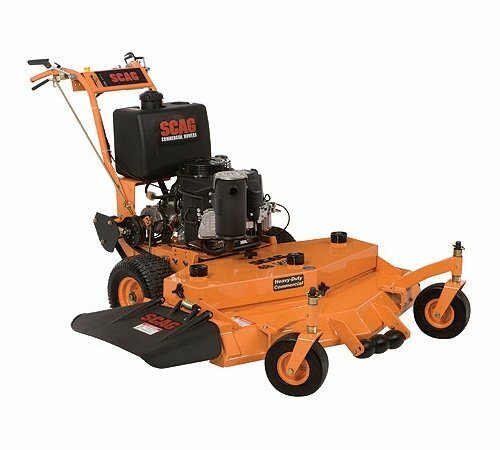 With the wide variety of Scag OEM parts available at Shank’s Lawn Equipment, as well as the company’s unique commitment to customer service for the duration of a Scag mower’s useful life, the company represents a really great way to ensure safety and long-term performance from any Scag model. It’s important for mower owners to remember just how important regular maintenance is to mower safety, preventing engine problems and other malfunctions that can pose real danger to the operator and those nearby. If you are in the Adams, Cumberland or Franklin County PA area, be sure to get in touch with Shank’s Lawn Equipment right away to find OEM replacement parts, get service tips, and arrange an appointment for any required mower maintenance. This entry was posted in Uncategorized and tagged OEM, Scag Lawnmower, Shanks Lawn Equipment. Bookmark the permalink.